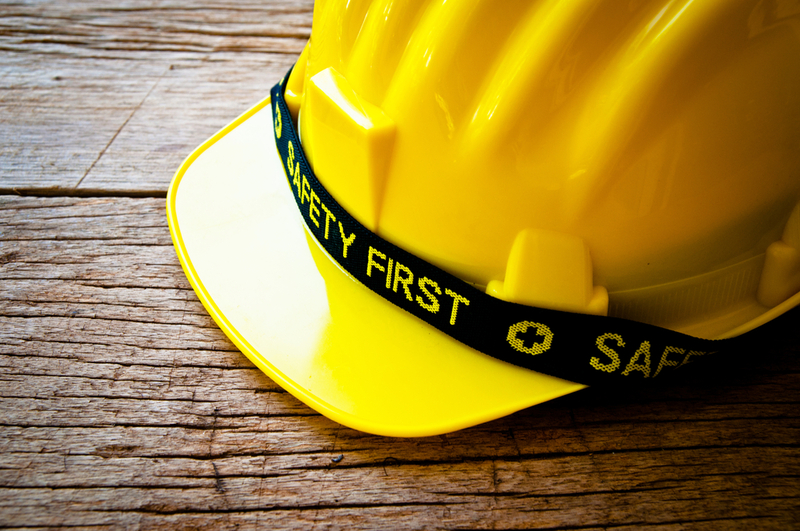 We only hire the best in the business, so you can be sure you’re working the best designers, builders and inspectors. 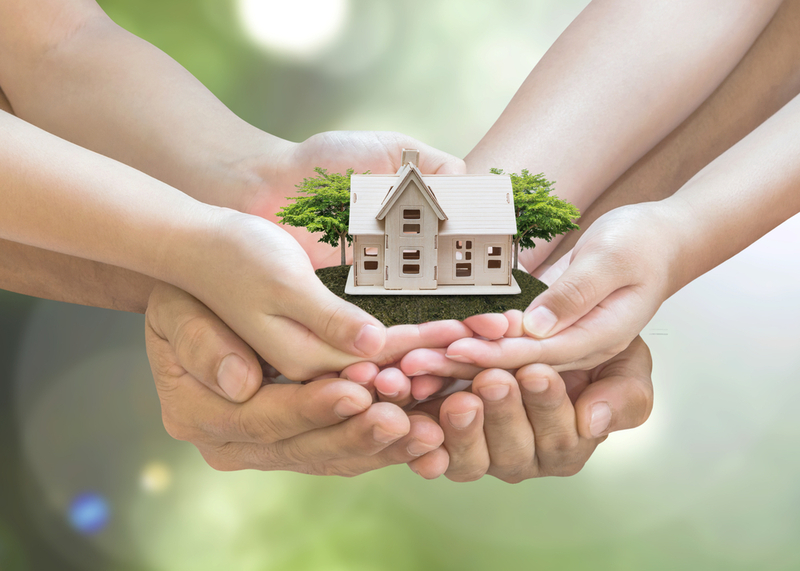 Our company is based on the belief that the needs of our customers are of paramount importance. Our entire team is committed to do to meet these needs. As a result, the high percentage of our business is from repeat customers and referrals. 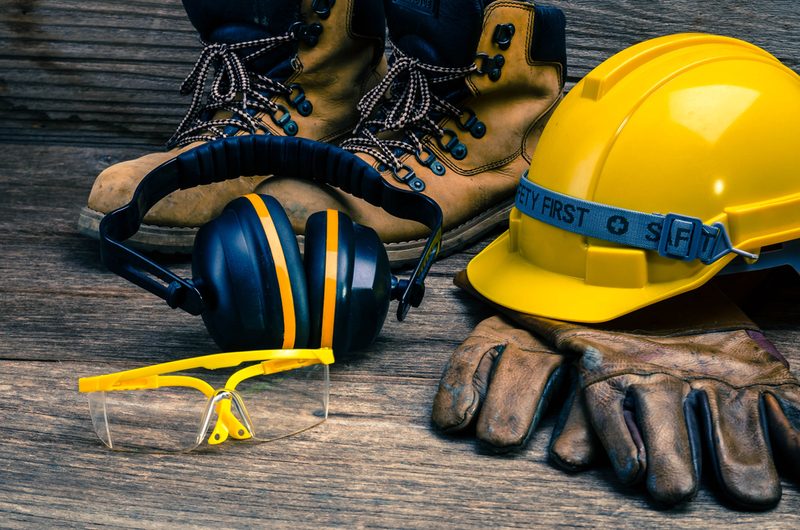 We provide a full range of building services with no exceptions – whatever building requirements you have just contact us to discuss it further. Full renovation of tenement studio flat – strip old wallpaper, replaster walls and ceiling, paint, and rip out old shower-room and old kitchen, and fit new. All done in five weeks (minimal over-run, due to me adding ‘extras’ as we went along) for a very fair price, and quality of finish and workmanship excellent. I’ve had need of three sets of builders/decorators in the past five years or so, and GK have certainly been the best. I genuinely wish I’d known about them for previous jobs, and would use them again for anything similar, and happily recommend them. Chris and Greg hold 40 years of experience between each other and honestly you can tell. The quality of their work is outstanding with attention to smallest details. There was no delay or any major problems . 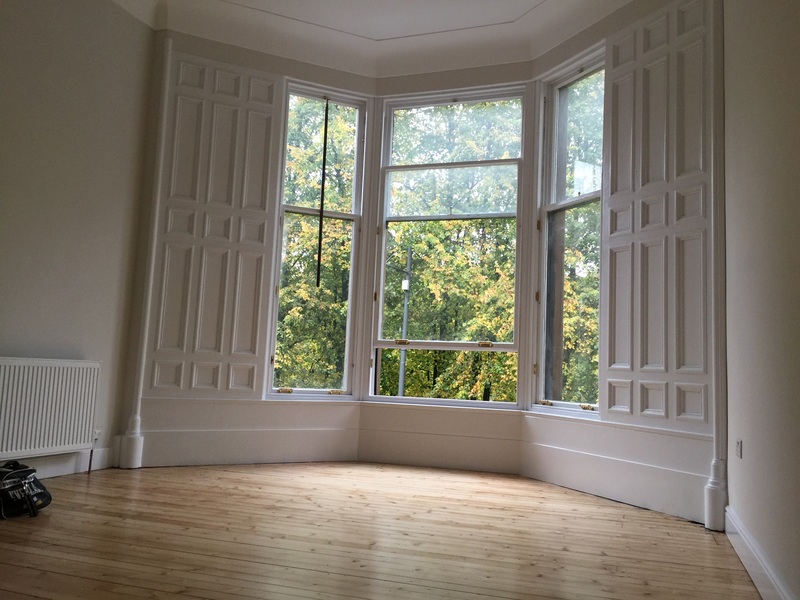 They have completed full refurbishment of one bedroom apartment in George Square Glasgow: suspended ceilings, led lighting lithing throughout, plastering and painting, new wooden floors, build-in wardrobes, brand new fitted kitchen, tiling the batroom, plumbing, rewiring all in 4 weeks . Working to the budget . Very rare to find such a talented professional. Couldnt recommend them enough. Kris and his team removed an internal wall between the kitchen and dining room, rebuilt an existing single story extension and fitted French doors and raised decking. All of their work was carried out to the highest standard – and they were great at making any changes we requested throughout the project – offering their expertise throughout. We’re delighted with the finished results and we would highly recommend GK Builders. Kris and his team worked extremely well on our house over many weeks. Wallpaper stripping, plastering and painting of all the internal walls and ceilings. Kitchen and bathroom fitting and tiling. A few minor snagging issues are outstanding which we hope will be rectified soon. Kris was very dedicated to our renovation and we are very grateful to him and the team working with him. 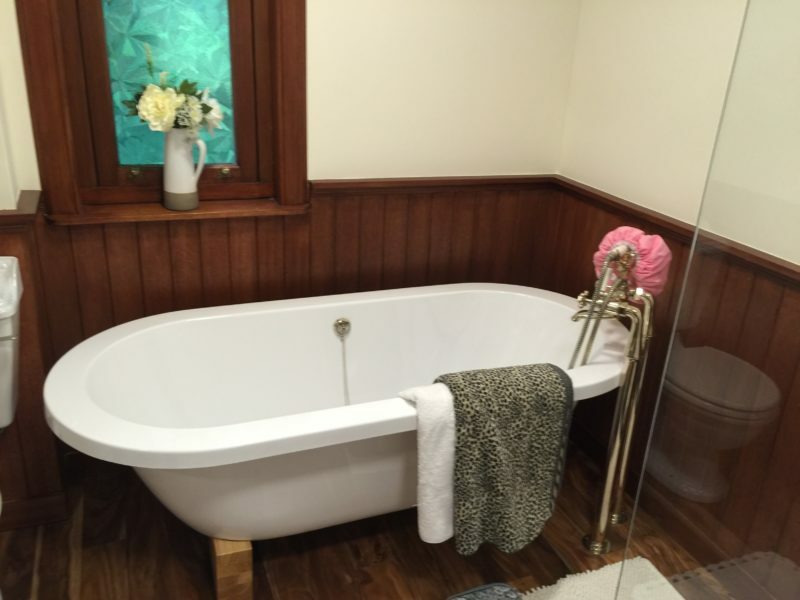 We asked Kris, Gregor and the team to completely renovate out conversion in the west end. This included stripping the house back to a bare she’ll and completely renovating . I cannot recommend them highly enough. Their price was superb value and the quality of there work was second to none. The finish is outstanding . We were unfortunately let down by a different company on the day the remodelling of the kitchen in our tenement flat was supposed to start. This actually turned out to be a stroke of good luck as Kris, Gregor and the team visited at short notice, gave us a very competitive quote and were available to start our within the week. 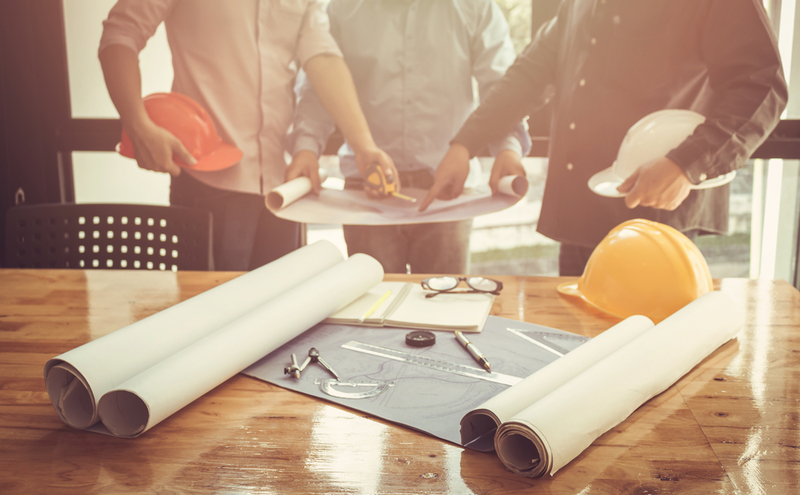 Given the delay from the first builders, GKbuilders the team had less than three weeks to complete the work but they were positive they could meet the timescales. 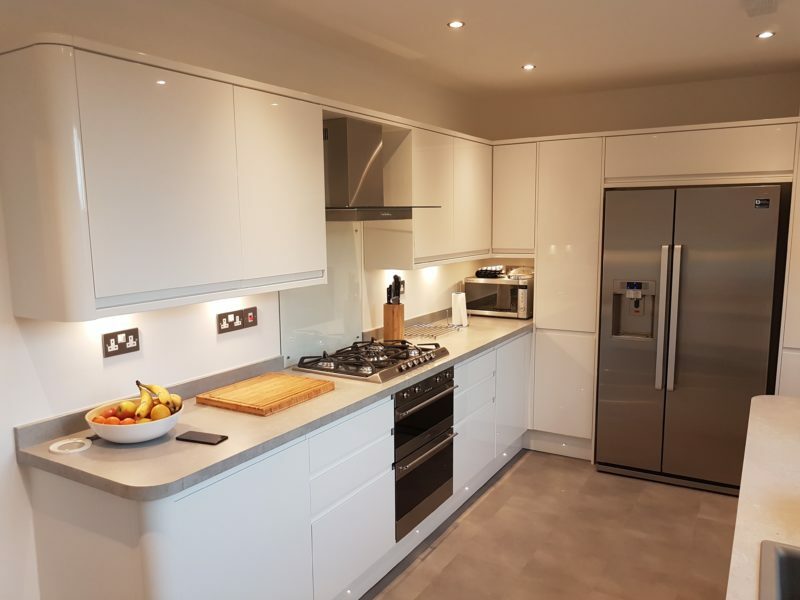 The work included rewiring, replumbing, installing a whole new kitchen and appliances, installing new radiators, building a new partition, plastering all walls and ceiling, installing skirtings, tiling – the works! On top of all this, we were extremely fussy clients with a very clear design objective for the room, and despite additional tasks being required at various times throughout the programme, nothing was too much hassle for Gregor and the team. The work was completed on time and within the agreed budget. 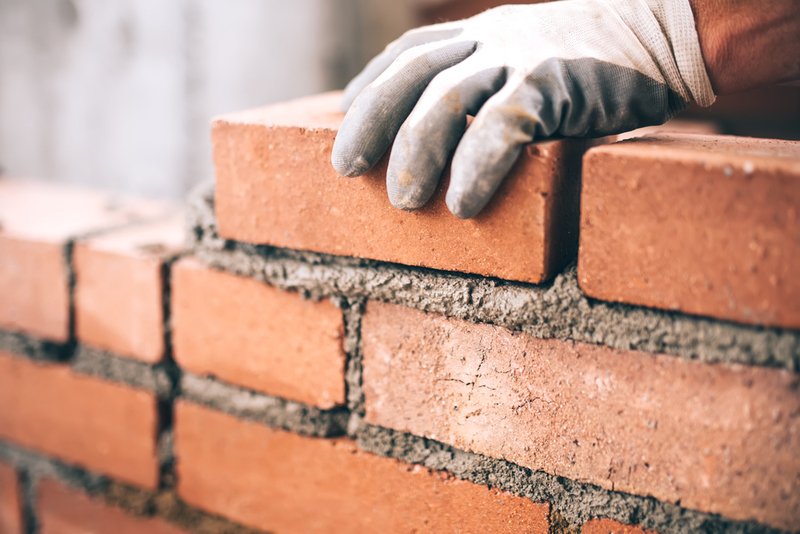 We would whole-heartedly recommend GKbuilders to anyone considering remodelling/refurbishment works – they are incredibly hard working, they maintained communication throughout the project and their attention to detail across all the trades was unbelievably high. Kris and Gregor completed the plastering of four rooms and a large hall stairs and landing as well as tiling and installing two bathrooms. The quality of their skimming and tiling is excellent and they were always willing to be flexible with their schedule to accommodate any changes that I needed. Kris & Gregor contact us with professionalism and when they came to our house they continued providing a professional approach to all matters in change. They are smart and have the expertise needed to do the job which is the perfect combination to have excellent results. They looked carefully all areas that they need to work on, they examined all wiring, piping etc carefully and they provided very satisfactory answers and opinions to all subjects. The work is still in progress but I felt confident with them from the beginning due to their professionalism and their quotation allowed us to hire them since they provided reasonable prices for the whole project. We hired Kris and Gregor based on the 100% positive feedback they had on the MyBuilder site; the impression we had of them on their quotation visit and their pricing which was competitive. Kris, Gregor and the team managed what was quite a large and complex project exceptionally well. Over the 12 weeks of the complete flat refurbishment they worked tirelessly and professionally – keeping us updated and discussing any issues with us quickly and very amicably. The team stripped our Victorian flat back to bare bones and then rebuilt and modernised it to our plans – offering advice and making real improvements to our initial ideas. Work included covered: full re-wire, installation of central heating system and new pipework throughout, structural and layout changes, installation of a new kitchen and appliances, installation of a new bathroom, joinery and woodwork, and decoration throughout. 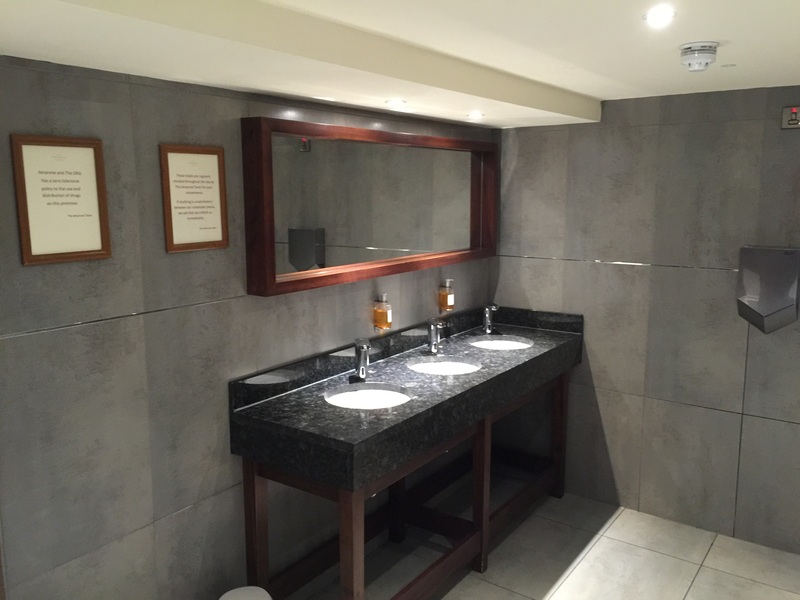 Every job was carried out to a very high standard and to agreed timescales. (and have recommended to numerous friends already) – terrific and much appreciated. We can't wait to get started on your project! Big or small, we can do it all. The Best Contractors In Your Area. Contact Us For A Quote Today!